Tudor Revival. 2-story, 3-bay frame gable-roofed house built on raised foundation. 2 partial gable-roofed dormers are on the front. House has cedar shingles on first story, stucco and half-timbering on second story. Windows have multi-pane upper sashes. 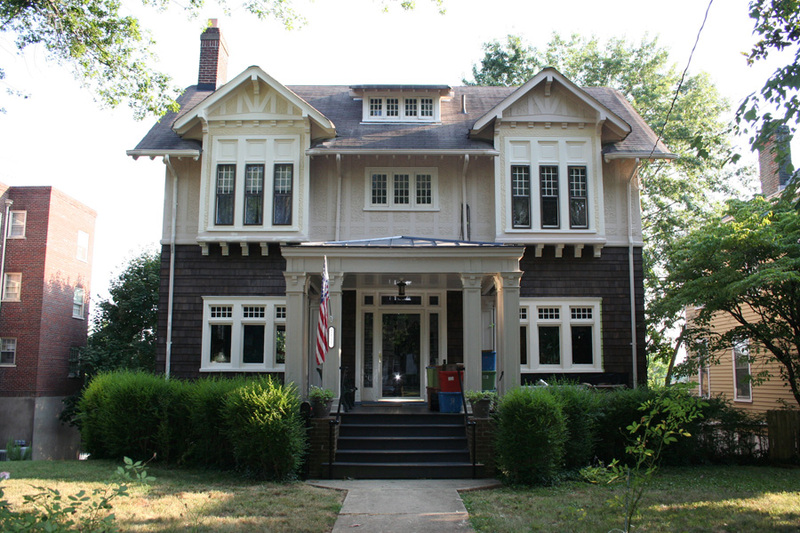 Porches have signature columns of architect Stanhope Johnson.